Property 8: Waterfront Vandalia House w/ Dock on Donnell Lake! Property 9: Relax at the lake shore in an updated tiny house. Property 12: Lakefront Home on Eagle Lake - Sleeps 10 - Perfect for a Relaxing Getaway! Blues Cottage - Lakefront Cottages on Semi-private Lake, Beach, Boats, Fun! Property 13: Blues Cottage - Lakefront Cottages on Semi-private Lake, Beach, Boats, Fun! Property 15: Lovely Home on the WATER'S EDGE of beautiful Diamond Lake!! Close to NOTRE DAME! 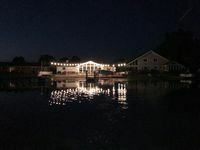 Music Hall Cottage - Lakefront Cottages on Semi-private Lake, Beach, Boats, Fun! Property 19: Music Hall Cottage - Lakefront Cottages on Semi-private Lake, Beach, Boats, Fun! Property 23: Newly-Renovated Lake House On Gorgeous Big Fish Lake! Property 24: Best Sunset on the Lake! Property 27: Adorable Lakeside Dream! Western Cottage - Lakefront Cottages on Semi-private Lake, Beach, Boats, Fun! Property 28: Western Cottage - Lakefront Cottages on Semi-private Lake, Beach, Boats, Fun! Property 34: Diamond Lake Get Away! Jazz Cottage - Lakefront Cottages On Semi-private Lake, Beach, Boats, Fun! Property 38: Jazz Cottage - Lakefront Cottages On Semi-private Lake, Beach, Boats, Fun! Folk Cottage - Lakefront Cottages on Semi-private Lake, Beach, Boats, Fun! Property 39: Folk Cottage - Lakefront Cottages on Semi-private Lake, Beach, Boats, Fun! Property 42: Cozy Ranch With Walk Out Deck On Secluded Wooded Lot On Beautiful Private Lake. Property 43: Diamond Lake lakefront with beautiful sunsets! 5 bedrooms & a new master bath! Property 44: Historic registry farmhouse w/country feel, but close to Notre Dame! 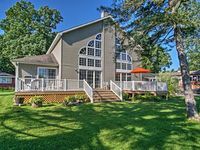 Country Cottage - Lakefront Cottages on Semi-private Lake, Beach, Boats, Fun! Property 45: Country Cottage - Lakefront Cottages on Semi-private Lake, Beach, Boats, Fun! Property 49: CLOSE TO NOTRE DAME CAMPUS!! Peaceful, Very Clean, Furnished House!